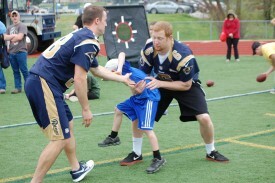 McKendree University and the St. Louis Rams hosted a Punt, Pass and Kick competition for the athletes of Special Olympics Illinois and Missouri on April 19. 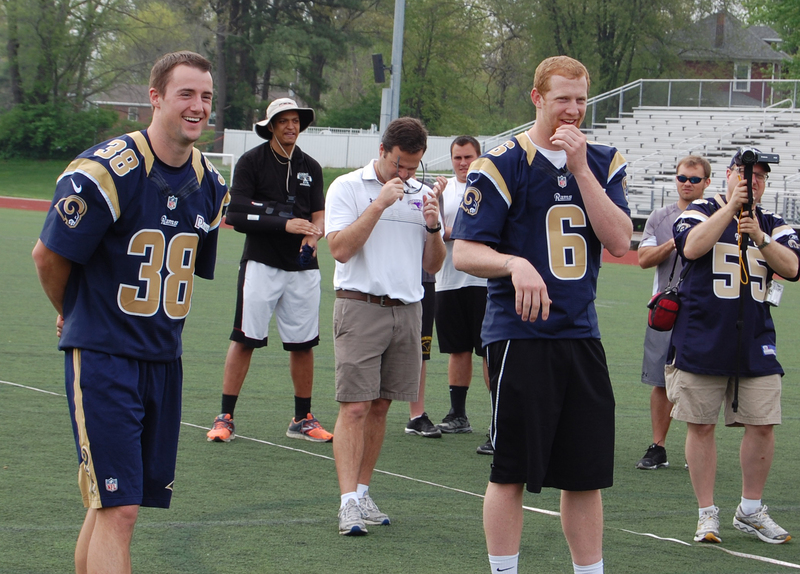 Rams punter Johnny Hekker and Rams safety Cody Davis started the event by showing off their Punt, Pass and Kick abilities before leading stations with the assistance of McKendree University football players. A total of 53 Special Olympics athletes from Illinois and Missouri took to the football field showing grit and determination to win the gold! 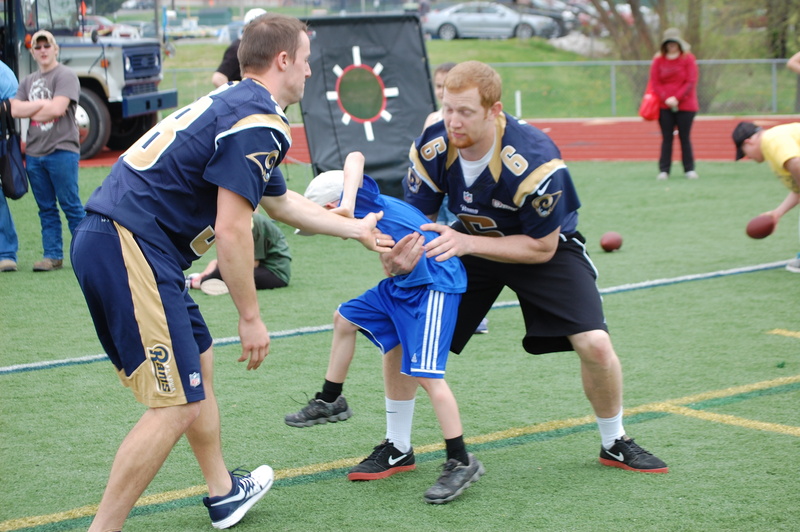 After leading the stations, Hekker and Davis opened the Play 60 bus allowing athletes to dance to the music, show off their accuracy in passing through a football target and run through an obstacle course finishing by tackling the dummy onto a crash mat. 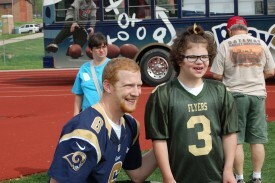 Davis awarded all athletes in front of the Play 60 bus. 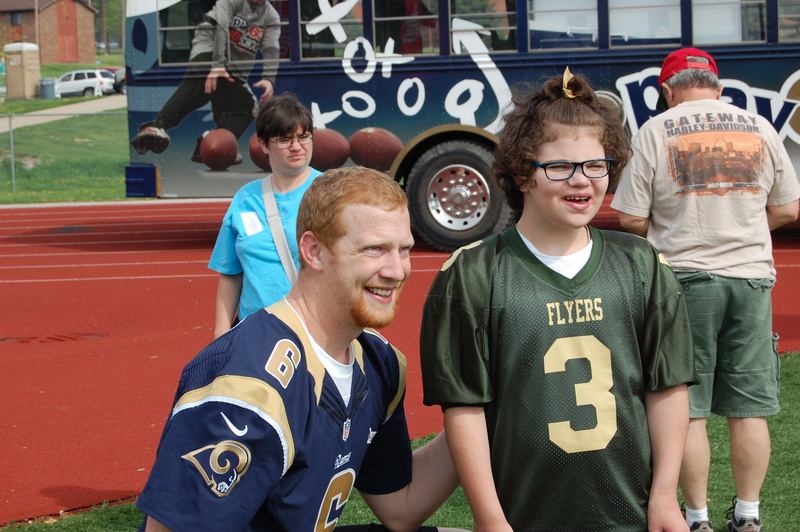 To wrap up the event, Hekker and Davis signed autographs for each athlete and coach in attendance. The Rams also provided Play 60 rally towels and player cards to each participant. View photos from the event.